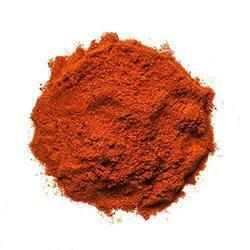 Prominent & Leading Exporter from Mumbai, we offer chili powder. We are the Leading Manufacturer, Supplier & Exporter of Chilli Powder. A powder produced from the grinding of dried chillies. Chillies are the fruit of the Capsicum plant. Chilli powder is fine to medium. The odour is aromatically strong and the taste is characteristic, strong and spicy. It is free from musty odour and rancidity. Acid insuluble ASH 2% Max.